Do you often have sore, red and itchy eyes? Be it from allergies or due to stress and/or being tired chances are : You are a rubber. It is the most natural response, be it with your fingers, knuckles or the ball of your hand. Rubbing occasionally is not the problem but we are seeing more and more patients that excessively rub their eyes unaware of the dangers and problems this bad habit can create. Most obvious problem is the danger of infection. Rubbing eyes with your hands can easily lead to an infection including pink eye or worse. No matter how carefully you wash your hands, you are always putting yourself at risk for an infection. Then there is the physical damage. Excessive rubbing can alter the shape of the cornea or even cause thinning , increase the pressure in the eye - to a point where the deterioration of vision cannot be reversed. Some people rub their eyes because there is actually something in their eye – rubbing is the least effective and most dangerous as it can end up scratching the cornea and it will feel worse for longer. Excess rubbing can also break the small blood vessels in and around your eyelids that lead to those dark circles that make you look tired and stressed. So if you wake up with dark circles under your eyes after a good night’s sleep you could be rubbing your eyes in your sleep. 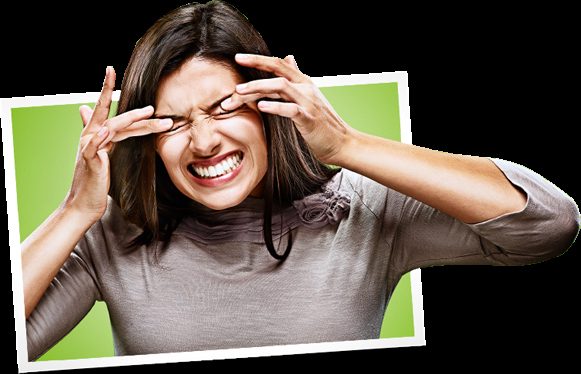 Rubbing your eyes if you are suffering from allergies DOES NOT WORK BUT ACTUALLY MAKES THE ITCHING WORSE. Rubbing will release even more histamines and make your eyes even itchier. Apply a clean cold face cloth to your eyes in regular intervals to help soothe the itching. Clean your eyelids every day, especially if you wear make-up. Simple lid scrubs with baby shampoo or a lid scrub product will do. Treat the underlying cause of dry and itchy eyes with medication if need be. And lastly if you rub due to stress, try managing your stress with relaxation techniques and consciously avoid touching and rubbing your eyes.